The purpose of set up nfs server is to watch video stored on server through my android devices. I often need update my README files at the root directory of my project which is always managed by git. As a lazy guy, I' rather use some hotkey to open that README. The Emacs clipboard questions has been asked so many times. Yet few give a complete and reliable solution. Only a dedicated project maintained by professional developer could solve this issue once for all. simpleclip is such a project. I only use its APIs `simpleclip-get-contents` and `simpleclip-set-contents`. 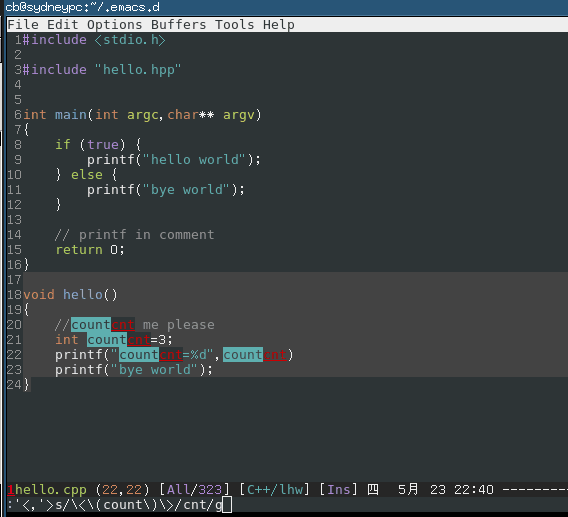 As we dicussed in Emacs community at Google+. Although multiple-cursor is good for this task, I cannot use it because it conflicts with my favourite evil-mode (Vim simulation in Emacs). Though iedit is good, there is still room for improvement. When using iedit-mode-toggle-on-function, we need press key twice to rename the variable name. Once to enable it, twice to disable it. Magnar Sveen pointed out in the G+ discussion that the key point we need plugins like multiple-cursor or iedit-mode is that we can see all the changes while doing the editing. This reminds me that evil-mode has a excellent regex string replacing mode which also show the changes when you are typing EACH character of new string. So by using evil-mode's default regex replacing command, I can implement similar feature even more efficiently then iedit-mode! to replace the symbol under cursor"
Put you cursor above a symbol/variable and press hot key "Ctrl-c ; s", then the regex to replace that symbol is automatically created and inserted into mini-buffer. Now you only need type new string and watch. The syntax checker for html will not work properly. These are the top two causes why we can not code fast in real application. Html tags like "<div>/<span>/<ul>/<li>" need be placed in html file. The solution is actually simple. We just need apply a little bit of functional programming skill. Now let's check what happens. In the html file, the business logic is converted into combination of functional calls. This is a kind of radical example. I'm only demonstrating the power of new style. I'm not suggesting you should convert any logic statement into function call. New style is not a silver bullet. It's only a useful if used properly in right timing. "Run a shell command git COMMAND' on the marked files. For example, say you set the alias "a" for git command "add" in your $HOME/.gitconfig. In order to git add files, you marked files in dired-mode and press "/", then press "a". The command git a(dd) will be executed. 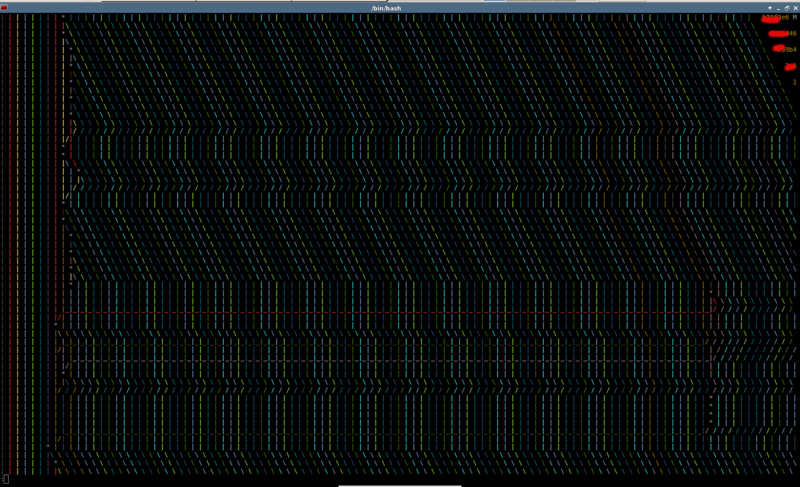 The reason to use git in dired-mode is simple. I'm working for some big enterprise application. You know the enterprise guys have the tendency to create lots of small modules/files for one feature. So I need do lots of cp files somewhere and git add files things these days. Thanks all the Emacs geeks on the Google+ who enlighten me.